What does design thinking mean when applied to Victorian times? How does Zeitgeist influence, or is effected by, design thinking? 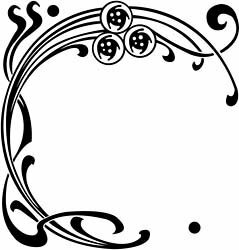 Art Nouveau line—Art Nouveau is characterized by its use of a long, sinuous, organic line and was employed most often in architecture, interior design, jewelry and glass design, posters, and illustration. It was a deliberate attempt to create a new style, free of the imitative historicism that dominated much of 19th-century art and design. 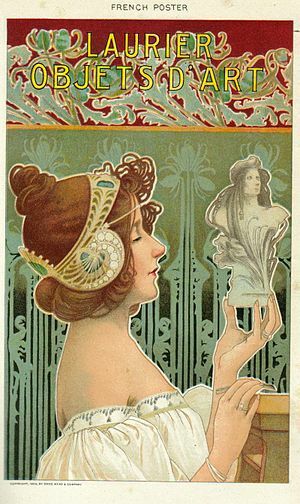 popular actress and model for Mucha, F.T. Nadar, and Cheret among others. Paris street posters (affiche)From the 1880s until the First World War, western Europe and the United States witnessed the development of Art Nouveau (“New Art”). Taking inspiration from the unruly aspects of the natural world, Art Nouveau influenced art and architecture especially in the applied arts, graphic work, and illustration. Sinuous lines and “whiplash” curves were derived, in part, from botanical studies and illustrations of deep-sea organisms such as those by German biologist Ernst Heinrich Haeckel (1834–1919) in Kunstformen der Natur (Art Forms in Nature, 1899). Other publications, including Floriated Ornament (1849) by Gothic Revivalist Augustus Welby Northmore Pugin (1812–1852) and The Grammar of Ornament (1856) by British architect and theorist Owen Jones (1809–1874), advocated nature as the primary source of inspiration for a generation of artists seeking to break away from past styles. The unfolding of Art Nouveau’s flowing line may be understood as a metaphor for the freedom and release sought by its practitioners and admirers from the weight of artistic tradition and critical expectations. Additionally, the new style was an outgrowth of two nineteenth-century English developments for which design reform (a reaction to prevailing art education, industrialized mass production, and the debasement of historic styles) was a leitmotif—the Arts and Crafts movement and the Aesthetic movement. The former emphasized a return to handcraftsmanship and traditional techniques. The latter promoted a similar credo of “art for art’s sake” that provided the foundation for non-narrative paintings, for instance, Whistler‘s Nocturnes. It further drew upon elements of Japanese art (“japonisme“), which flooded Western markets, mainly in the form of prints, after trading rights were established with Japan in the 1860s. Indeed, the gamut of late nineteenth-century artistic trends prior to World War I, including those in painting and the early designs of the Wiener Werkstätte, may all be defined loosely under the rubric of Art Nouveau. The term art nouveau first appeared in the 1880s in the Belgian journal L’Art Moderne to describe the work of Les Vingt, twenty Belgian painters and sculptors seeking reform through art and a common interest in Symbolist painting. 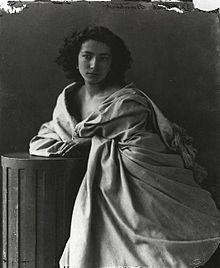 Les Vingt, like much of the artistic community throughout Europe and America, responded to leading nineteenth-century theoreticians such as French Gothic Revival architect Eugène-Emmanuel Viollet-le-Duc (1814–1879) and British art critic John Ruskin (1819–1900), who advocated the unity of all the arts, arguing against segregation between the fine arts of painting and sculpture and the so-called lesser decorative arts. Deeply influenced by the socially aware teachings of William Morris and the Arts and Crafts movement, Art Nouveau designers endeavored to achieve the synthesis of art and craft, and further, the creation of the spiritually uplifting Gesamtkunstwerk (“total work of art”) encompassing a variety of media. The successful unification of the fine and applied arts was achieved in many such complete designed environments as Victor Horta and Henry van de Velde‘s Hotel Tassel and Van Eetvelde House (Brussels, 1893–95), Charles Rennie Mackintosh and Margaret Macdonald’s design of the Hill House (Helensburgh, near Glasgow, 1903–4), and Josef Hoffmann and Gustav Klimt’s Palais Stocklet dining room (Brussels, 1905–11). 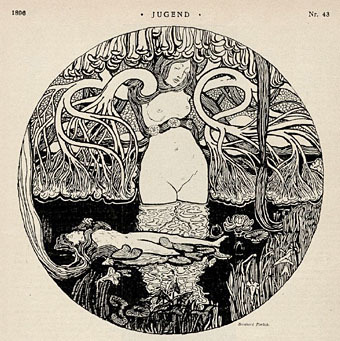 Art Nouveau style reached an international audience through the vibrant graphic arts printed in such periodicals as The Savoy, La Plume, Jugend, Dekorative Kunst, The Yellow Book, and The Studio. The Studio featured the bold, Symbolist-inspired linear drawings of Aubrey Beardsley (1872–1898). Beardsley’s flamboyant black and white block print J’ai baisé ta bouche lokanaan for Oscar Wilde’s play Salomé (1894), with its brilliant incorporation of Japanese two-dimensional composition, may be regarded as a highlight of the Aesthetic movement and an early manifestation of Art Nouveau taste in England. Other influential graphic artists included Alphonse Mucha, Jules Chéret, and Henri de Toulouse-Lautrec, whose vibrant poster art often expressed the variety of roles of women in belle époque society—from femme nouvelle (a “new woman” who rejected the conventional ideals of femininity, domesticity, and subservience) to demimonde. Female figures were often incorporated as fairies or sirens in the jewelry of René Lalique, Georges Fouquet, and Philippe Wolfers. Art Nouveau style was particularly associated with France, where it was called variously Style Jules Verne, Le Style Métro (after Hector Guimard’s iron and glass subway entrances), Art belle époque, and Art fin de siècle. In Paris, it captured the imagination of the public at large at the 1900 Exposition Universelle, the last and grandest of a series of fairs organized every eleven years from 1798. As in France, the “new art” was called by different names in the various style centers where it developed throughout Europe. In Belgium, it was called Style nouille or Style coup de fouet. In Germany, it was Jugendstil or “young style,” after the popular journal Die Jugend. Part of the broader Modernista movement in Barcelona, its chief exponent was the architect and redesigner of the Sagrada Familia (Holy Family) cathedral (Barcelona, begun 1882), Antoni Gaudí (1852–1926). In Italy, it was named Arte nuova, Stile floreale, or La Stile Liberty. Other style centers included Austria and Hungary, where Art Nouveau was called theSezessionstil. In Russia, Saint Petersburg and Moscow were the two centers of production for Stil’ modern. “Tiffany Style” in the United States was named for the legendary Favrile glass designs of Louis Comfort Tiffany. Although international in scope, Art Nouveau was a short-lived movement whose brief incandescence was a precursor of modernism, which emphasized function over form and the elimination of superfluous ornament. Although a reaction to historic revivalism, it brought Victorian excesses to a dramatic fin-de-siècle crescendo. Its influence has been far reaching and is evident in Art Deco furniture designs, whose sleek surfaces are enriched by exotic wood veneers and ornamental inlays. Dramatic Art Nouveau—inspired graphics became popular in the turbulent social and political milieu of the 1960s, among a new generation challenging conventional taste and ideas. Care free life, Flickleness and Joie de Vivre… Those are the three words that could best sum up this unique period in the History of France. It was a rest between two wars, a period of transition between two centuries, during which the social barriers collapsed, when the industrial revolution gave hope of a better life for all, in a rich cultural profusion and that promised much fun. The middle-class mixed with the riffraff, the popular culture was enchanced in a contented disorder full of joy and vitality. In that atmosphere, which favoured artistic creativity; painters and drawers got especially inspired by this joyful sometimes outrageous but full of fancy atmosphere that broke completely with the rigid classicism of that period. Toulouse-Lautrec was one of the most famous disciples of that time. Japonism, was a term employed for the first time by the art critic Philippe Burty in 1872 to define a new artistic movement inspired by objects and art from Japan, that had been first shown in 1867 at the Universal Exhibition of Paris. The atmosphere fitted perfectly to the appearance of the first cabarets, such as the Moulin Rouge in 1889. BEFORE TELEVISION or radio, a type of popular entertainment reigned which is now on the endangered species list — the live show. Accompanied by everything from the genteel applause of sophisticates in the hall to the gawking of ruralites at an itinerant medicine show, the participants all had something in common: They were real. They were immediate. It was the same all over in Europe, but in particular France — had something quite extraordinary: The Music Hall. While American vaudeville had much in common with the British and French music halls, the famous Music Halls of Paris had something more — the massively elaborate production numbers. More singers, more dancers, more glitter, more outrageous costumes—and, more exposed flesh — came to be the hallmarks of these establishments. Three historic establishments stood out above the rest: The Moulin Rouge, The Folies Bergere, and the Casino de Paris. Of these, the Moulin Rouge — literally “Red Windmill” — claims the longest lineage. Its doors first opened on Sunday, October 6, 1889. The site of it’s location had previously been occupied by the Reine Blanche, where the most popular attraction was an acrobatic dancer who walked on her hands, much to the delight of packed houses. The resulting display accounts for her stage name “Nini-la-Belle-en-Cuisse,” or Nini of the Beautiful Thighs. The architecture of the Moulin Rouge is distinctively marked by the windmill—a holdover from the time of Louis XIV, when the hilltop Montmartre section of Paris housed as many as thirty windmills. As early as the 1500s, a visiting Italian poet remarked that the windmills “turned as swifty as the Parisians’ heads.” The landmark Moulin Rouge red windmill has been modified and reconstructed several times over the years. Inside, the Moulin Rouge housed a big dance floor, mirrored walls, and a fashionable gallery lit by round glass globes of gas lamps mounted throughout the interior. Perhaps the best known legacy of the Moulin Rouge is the “Can-Can.” This distinctly exhuberant dance never failed to arouse the crowd. It inspired numerous theatrical, more than a few Hollywood films and has otherwise achieved iconic significance. 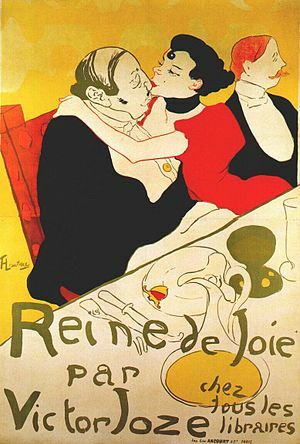 The Café, that most famous and universally exported of French institutions, was at its zenith of popularity during Lautrec’s lifetime. At the turn of the century, Paris had perhaps 27,000 of them, as compared to only around 11,000 in 1960. They have been called a democratic version of the eighteenth-century salon. 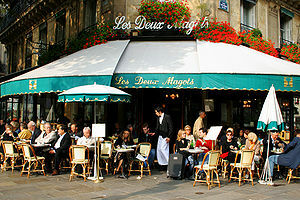 From the 1860s until World War II, cafés and cabarets were the center of social and community life for the working classes of crowded Paris. The age of electronically transmitted entertainment has encouraged people to stay at home now, but social life in the late nineteenth century meant going out. At first, simple little shows were added to the menu at ordinary corner cafés where idlers of all classes took their relaxation. The songs and jokes of the performers focused on ordinary events of life, love and politics, and became so popular that the cafés gradually turned into music halls as well. Gaiety, music, dancing, and other entertainments were then available on an ongoing, regular basis at the casual café-concerts. By the end of the century, there were an estimated 150 café-concerts in Paris. The difference between these and the theatre/caberet was a complete lack of formality. Audiences came and went at whatever point in the night’s entertainment they pleased. Almost any attire was acceptable. Food and drink might be served during the performances, at which the audience commented freely and sometimes participated. The performers had to be aggressive to compete with the smoke, noise, waiters, flower sellers, and buskers.